⇒ Mapnificent – New York. ⇒ Sci-Fi Hi-Fi — Twitter, Instagram, and the Journalistic Impulse. “I’ve never been one to keep a journal (much to my chagrin as an inveterate collector of fancy stationery), but, silly as it may sound, Twitter made me feel like a field correspondent—our man on the Rio Grande—and thus encouraged me to think like a journalist.” – Buzz. ⇒ Facebook Engineering: Typeahead Search Tech Talks. I’ve referred to this video a few times recently, thought I should probably link it from somewhere. Great talk on developing the Facebook search box, with it’s strong blend of navigational insight and personalization. Bonus points for “world’s tiniest bloom filter.” The memory consumption-cache bandwidth-compute triangle is a useful construct. ⇒ Paul Graham’s “What Happened to Yahoo” is spot on. ⇒ Tom Taylor: you’ve either shipped or you haven’t. ⇒ Alan Levine: Adopt My Code, Please?. Alan is looking for someone to take over Feed2JS. ⇒ random($foo): The Future of Leonard’s Computing. ⇒ “Rod Begbie, what are all the reasons you want a systematic way to retrieve your answers from Quora?” on Quora. ⇒ Crabgrass: software libre for social organizing. For folks interested in Diaspora, you should check out Crabgrass, developed by the Riseup tech collective to provide secure, powerful tools for social organizing its already used by a wide range of activists, the UN, and even the CIA (rumor has it). ⇒ Liminal Existence: Facebook Is My New Boatcar. The only problem with Blaine’s argument is boat cars are awesome as anyone who has ever lived in Boston can tell you. ⇒ Luis Villa: Questions for the Diaspora. Good set of questions for anyone starting to build a distributed social network territory, and surprisingly good answers from join diaspora. ⇒ oplogutils – Utilities for inspecting and manipulating the MongoDB oplog. These are the sort of tools that need to emerge before you can use a platform reliably. It isn’t about how cool the tech is, it’s about what do you do when it all goes wrong. 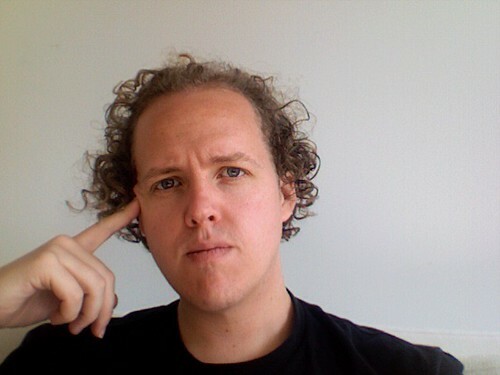 ⇒ Simon Willison: Comprehensive notes from my three hour Redis tutorial. Good notes. Been having fun playing with Redis a bit this week in the tiny margins of the day as the backend for a very volatile queue system, with relatively low durability requirements, but a iron clad need for operations to stay O(1) if queues fall behind. ⇒ Code Kata: oldie, but goodie..
Back in 2007 the Pragmatic Programmers posted a series of code kata in the style of Are you one of the 10%. Probably worth re-visiting if you’ve never done them. ⇒ Large Hadron Collider (LHC) just had its first successful run, creating record-breaking high-energy particle collision. “the hunt begins for dark matter, new forces, new dimensions and the Higgs boson” – awesome. ⇒ SnapGroups: Mark Fletcher’s Lightweight Discussion. I’m a big fan of lightweight, ridiculously easy group forming, and of Mark Fletcher’s work, so I’m excited about SnapGroups. More interesting to me though is to see he chose to use Mongo, as Mark handrolled a custom datastore to Bloglines. Validates some of my cautious optimism for Mongo delivering on some of its promise. ⇒ Wikimedia has a users RPE of 30mil.